This mixed media original is created on gallery depth canvas (2") Sides are painted black. Signed and sealed on the front and signed and name on back. 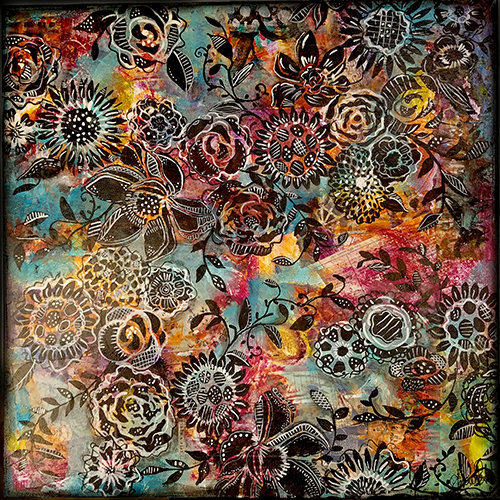 This piece has beautiful layers of vintage paper and deep rich colors, hand brushed details.